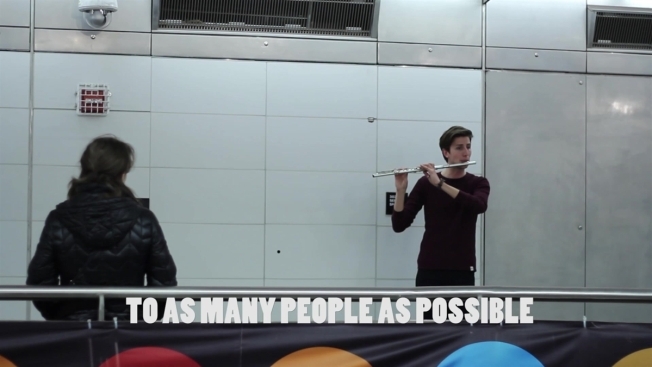 Bach in the Subways is a movement to bring live Bach music to as many people as possible across the globe. Video by Ashley Serianni. Commuters are in for a treat this weekend as Bach in the Subways takes over for its seventh year in celebration of the revered composer's 333rd birthday. Bach in the Subways, which began on Wednesday and will run through Sunday, was an initiative that started as a solo project in 2010 by cellist Dale Henderson. He believed that the decline in appreciation for classical music was mainly because of the fact that there was less of an opportunity for people to experience classical music live and up close and personal. Henderson first invited other musicians to join him in playing Bach's music throughout various New York City subways for Bach's 326th birthday in 2011, and was joined by two other cellists. Participating musicians are urged by Henderson to decline donations, believing that the experience is exponentially more powerful when money is not a contributing factor. Instead they are encouraged to record their performances, promote their own music, and distribute the cards and fliers available on the organization's website. In its first few years, the initiative caught on around the world. With over 30 countries participating this year, musicians have expanded from subway platforms out into their favorite spots in their cities. New Yorkers can expect to hear performances throughout various parts of Manhattan and Brooklyn, including Columbus Circle, Grand Central Terminal, and Grand Army Plaza. A full list of performances can be found on the organizations website.